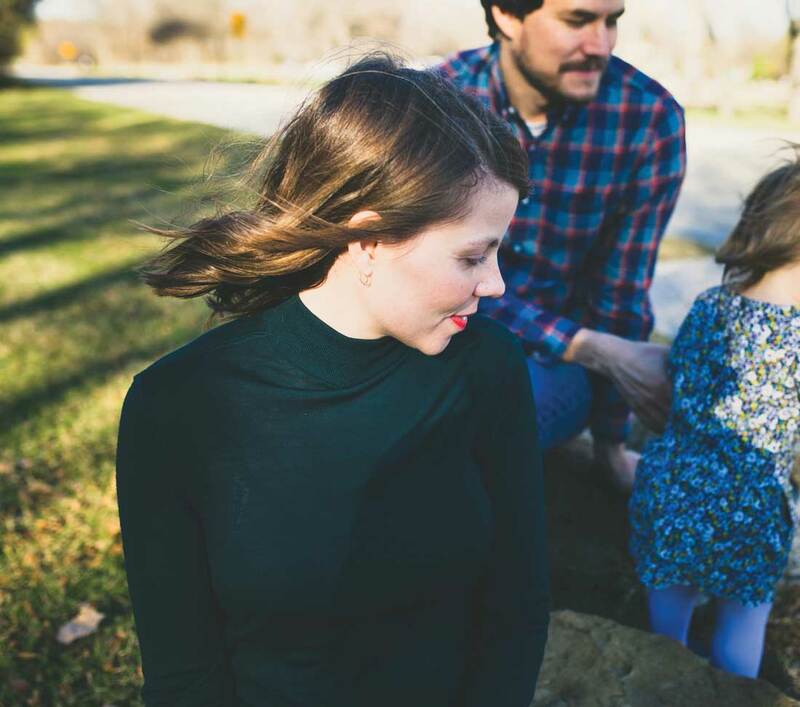 Singer-songwriter Mara Lee Miller, who recently dropped an EP, talks about her new life. It wasn’t too long ago that 38-year-old Denton-turned-Fort Worth chanteuse Mara Lee Miller, better known by her nom de plume Bosque Brown, was on the tip of every local and national tastemaker’s tongue. Since the arrival of her now-4-year-old daughter, the once in-demand indie darling has traded in the chaos of making music for a living in favor of a more sanguine life as a stay-at-home mom in Ryan Place. She hasn’t stopped making music, but now, she said, she’s making it entirely on her terms. In May, Miller quietly released Little Sea, a five-song EP that many of her longtime fans may see as a slight but significant departure for her band vehicle, Bosque Brown, whose poignant lyrics of nostalgia and regret always evoked bleakness at its most pristine. Recorded over the course of one day at her home with Seattle producer Jeremy Buller, the record feels brighter and lighter than her past work, as though Miller stretched her musical horizons to create something more polished and accessible while allowing listeners to experience the more familiar sonic terrain in fresh astonishment. Over email the other day, Miller discussed the changes in her life, career, and art. 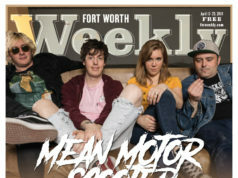 Fort Worth Weekly: I found it interesting that you said you probably won’t be playing live, especially considering you just released an EP, so why not? Miller: I have always dreaded playing live. Furthermore, the fear has kept me from playing as much as I should in order to be comfortable with performing. Before I had my daughter, I was pursuing music full time, and playing live was a must. I have chosen not to pursue music full time for the time being, so I no longer feel obligated to put that pressure on myself. It’s a mental ordeal that I don’t find necessary to endure under my current situation. What inspired the songs on Little Sea? What’s different about this one than your past releases? I wrote all the songs except “You” after I had my daughter. Obviously, having a child meant a profound change in my life. After my daughter’s birth, I struggled with postpartum depression along with old mental baggage that I had never addressed sufficiently. These songs are me working through the feelings and thoughts that have consumed me over my entire life –– now magnified in the face of motherhood. These songs are the start of healing in my life: mentally, physically, and spiritually, motivated by my daughter. The main difference with this release is I didn’t feel the pressure to be, write, or sound any way but how I wanted. I knew I wouldn’t tour, and I knew I had nothing to prove because no one was going to invest in a release. This album was the first one strictly for myself since my very first album, Plays Mara Lee Miller. Would it be fair to say that this EP seems brighter in terms of the sonics than your past work? If so, can you talk me through the shift in your sound? Jeremy Buller is completely responsible for the landscape you hear. This is what he had to say about it: “That’s fair! These are really sweet, intimate songs … so we tried to capture Mara’s performances in a way that we could build an interesting mix from her performance alone –– just her guitar and voice, tracked together in one take. You can hear that most on ‘You,’ where it’s just Mara singing and playing alone until her harmonies and piano [from Miller’s sister, Gina Milligan] lift the last minute or so. How has being a mom changed your outlook on songwriting and recording? I am only capable of writing one way, and that’s waiting for it to come. Being a mom hasn’t changed this in any way, except in that I do not have the same ability to be still and listen as often as I would like. Different things matter to me, and maturity as well as immaturity have definitely come to surface in being a parent, but I have always wrote about my current circumstances and feelings, which are ever-changing. As far as recording, I am quite lucky in that I’ve always been very flexible about the when, where, and even who. 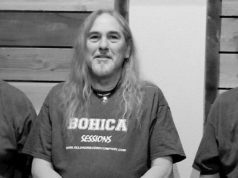 It is simply a matter of having songs ready and being able to take the time to record. What does the future hold for you as an artist? Will you continue to make records going forward? Will you ever play regularly again? I have finally been at peace with saying, “I have no idea what the future holds for me as an artist, and I have stopped trying to control the outcome.” As long as the songs still come to me, I will still make records. I do not have plans to play again under my current circumstances, but I’m also allowing myself to be flexible in my decisions and giving myself permission to change my mind.